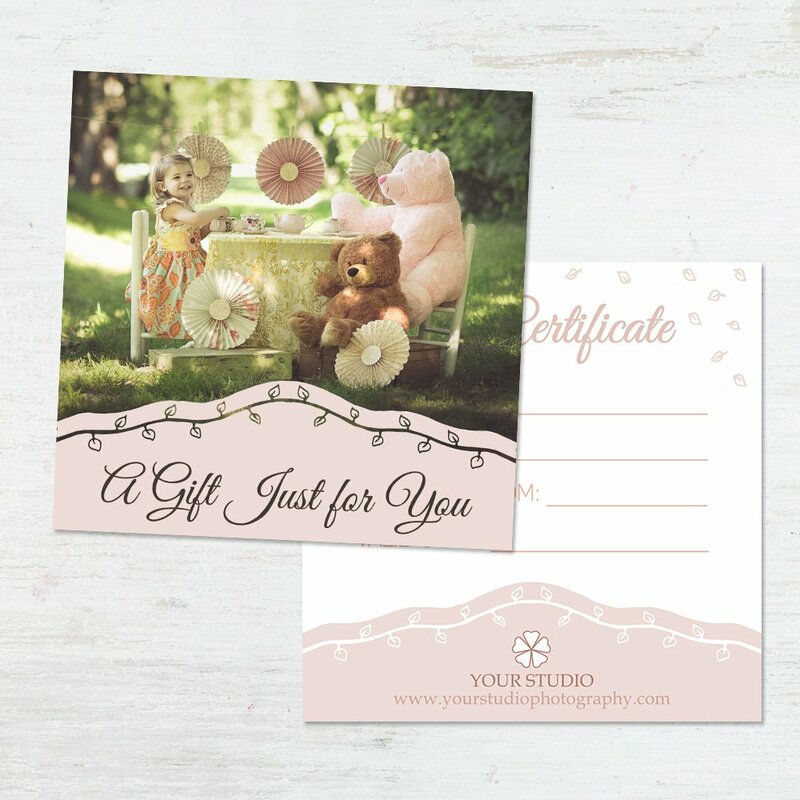 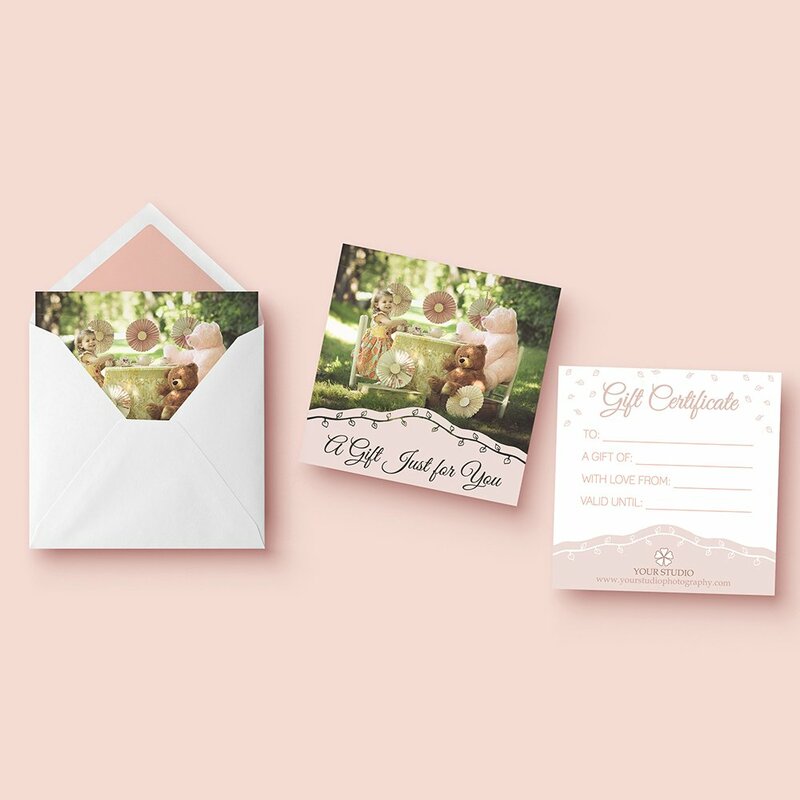 Bring back those warm moments from your childhood by using these lovely gift certificate templates that will certainly set your brand apart from the others! 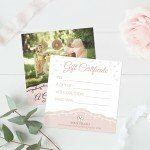 Delicate tones and calligraphy which inspires tenderness and innocence. 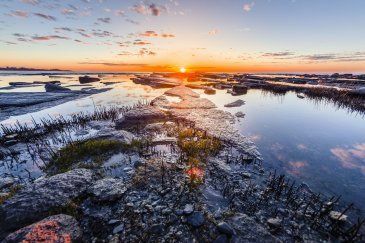 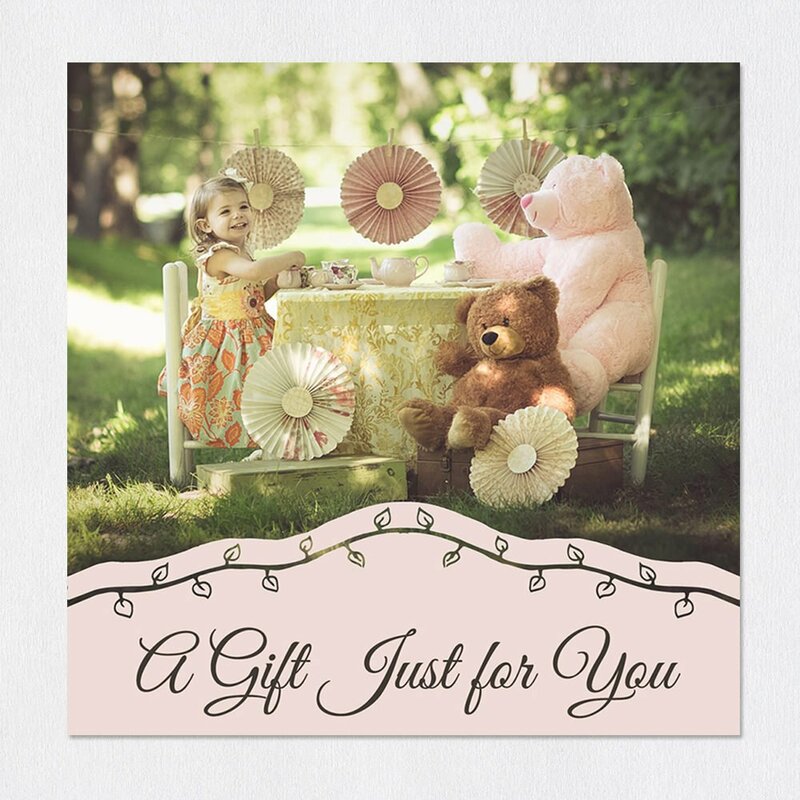 Few things can show affection to our loved ones more than a gift made with love; where it is evident that our interest lies in the happiness of the other person. 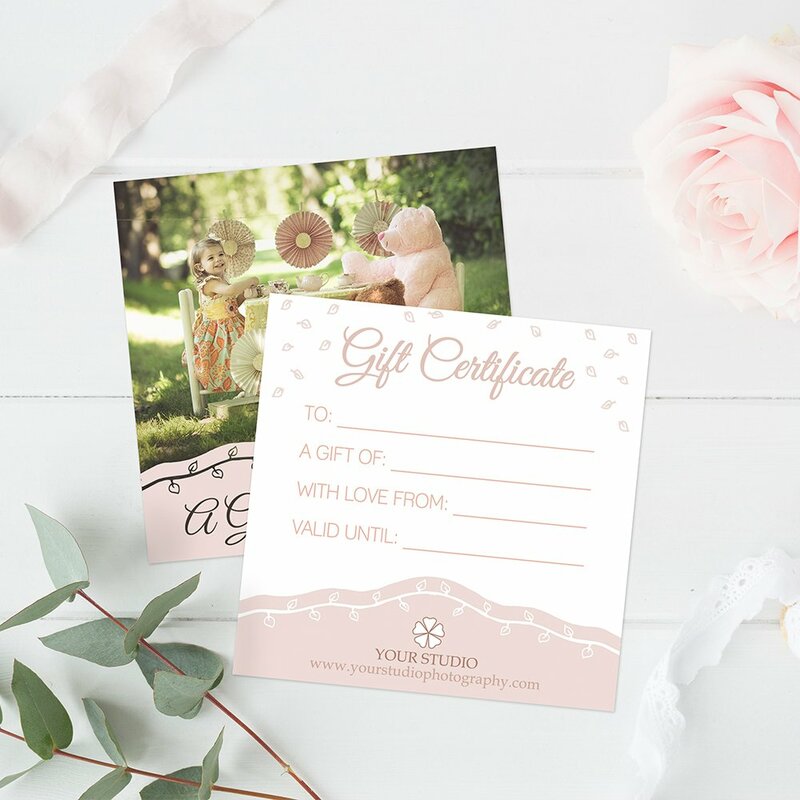 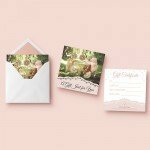 Imagine for a moment that we want to evoke memories of our childhood, of absolutely tender moments that will inspire those who receive them… What better of doing that than with our new “Tender Touch” Gift Certificate templates for Adobe Photoshop. We can guarantee a smile from ear to ear on face of the lucky users who obtain them – combine delicacy and affection through a single detail. 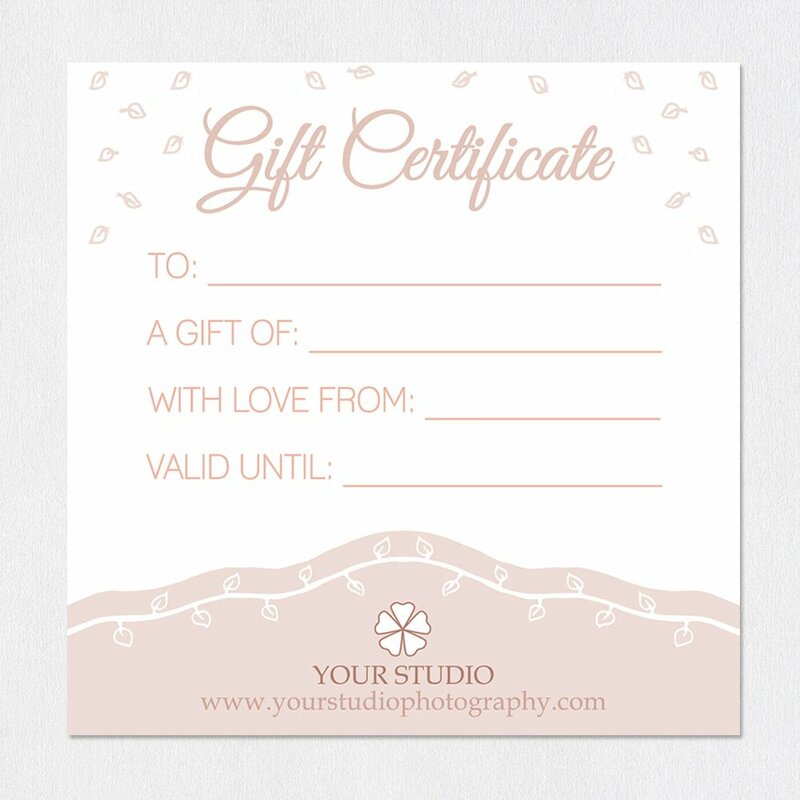 Fully customizable, you will only need to install the fonts to be used in the template and add your desired image to begin creating your own custom gift certificate.